Follow instructions on the site to recieve a Free Madden 2011 Game. 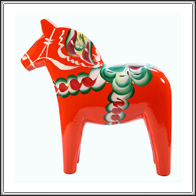 A Dala Horse like the one on the picture can be yours !! Fill out form to recieve your samples.